There is a myth about organ donation that Rohit D’Costa wants to dispel. Out there in the somewhat wilder corners of the internet is the idea that aviation professionals, such as pilots and cabin crew, make unsuitable potential organ donors due to the nature of their work. It goes a little something like this – exposure to low air pressure, potential dehydration and exposure to radiation could affect organ function over time, meaning they are ineligible to be organ donors. D’Costa, the state medical director for Donate Life Victoria, says it is all rubbish and completely false. Fact. There is no evidence that the level of radiation exposure or low air pressure or anything like that could affect organ function to the extent that it would preclude organ donation. “I can’t find any evidence actually that any of this is true but it is remarkable how pervasive some of these myths can be,” Dr D’Costa told Australian Aviation in an interview. “Whilst we would be aware that someone has worked in the aviation industry, it would never be considered to being a contraindication to being an organ donor. The organ donation rate has doubled since 2009, following reforms from the Australian government that brought in trained staff into hospitals to discuss the matter with the families involved and support them through the process. However, it is still rare. 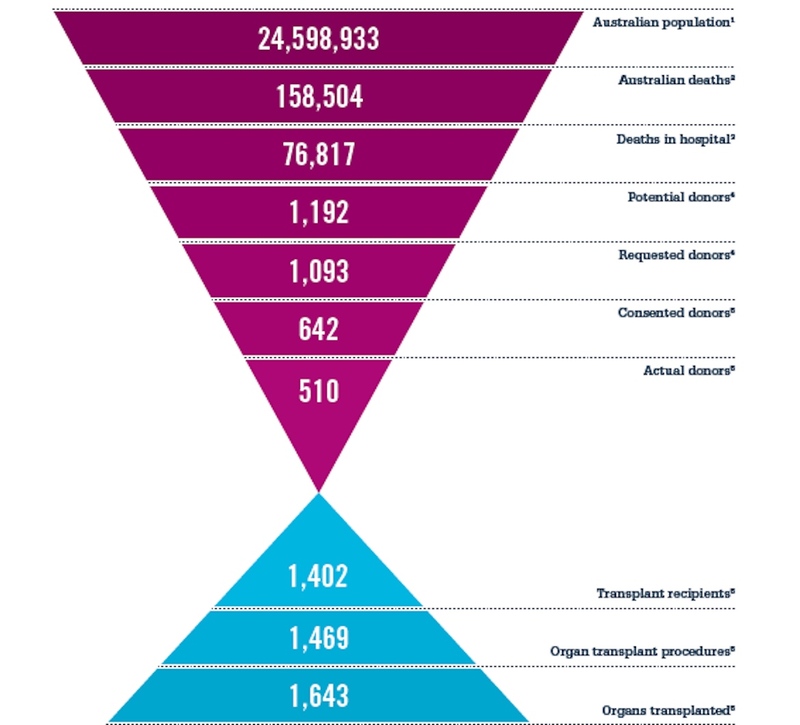 Figures from Donate Life Victoria – the Victorian arm of the Australian government’s Organ and Tissue Authority – showed there were 510 actual donors nationally in 2017. 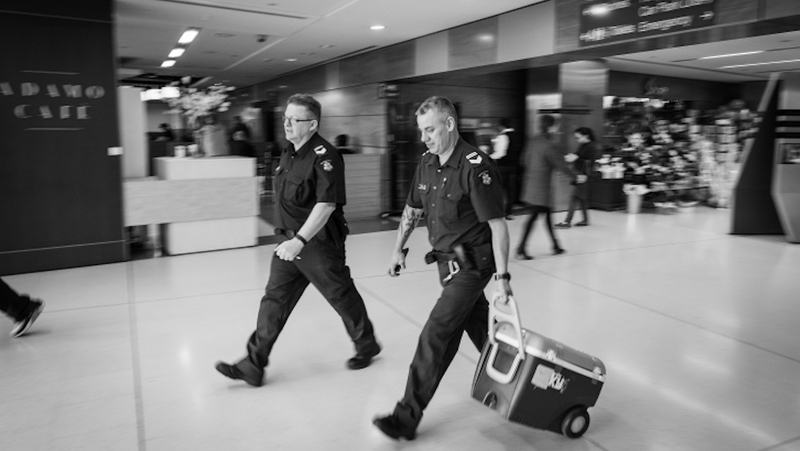 That represented less than two per cent of the 76,817 deaths that occurred in a hospital last year. Meanwhile, the demand for organs continues to exceed supply. There were 1,402 transplant recipients in 2017 and currently there are 1,430 Australian patients on the waiting list for organs such as hearts, intestines, kidneys, livers, lungs, pancreases or stomachs, according to Donate Life Victoria. At the end of July, there were 6.58 million people on the Australian Organ Donor Registry (AODR), representing about one-third of the population. And part of the effort of getting more people to register is dispelling myths such as those about people who work in aviation. “I think people want to do the right thing,” D’Costa said. “I know in the various professions like aviation where you are in a service industry, you want to get people to get from place A to place B safely so you’ve got a real customer focus so I can understand that people would say ‘I don’t want to put people at risk because my organs may not be suitable’. D’Costa said those who have registered to be organ donors on the Australian Organ Donor Registry should talk to their loved ones about it to leave them in no doubt about their wishes. “Part of the current push is for people to have a think about organ donation and register their decision, as well as speak to those that they love about it because the family will be asked to confirm that decision,” D’Costa said. More information about the Australian Organ Donor Registry can be found on the donatelife.gov.au website or by calling 1800 777 203. VIDEO: This video from the Royal Institution of Australia on the Donate Life Australia YouTube channel explains organ donation.